Just Don’t Do It At The B2K Reunion!!! Omarion﻿ says he’s not losing sleep over his baby mama’s situation with Lil Fizz … just as long as they don’t get down on the B2K reunion tour!!! 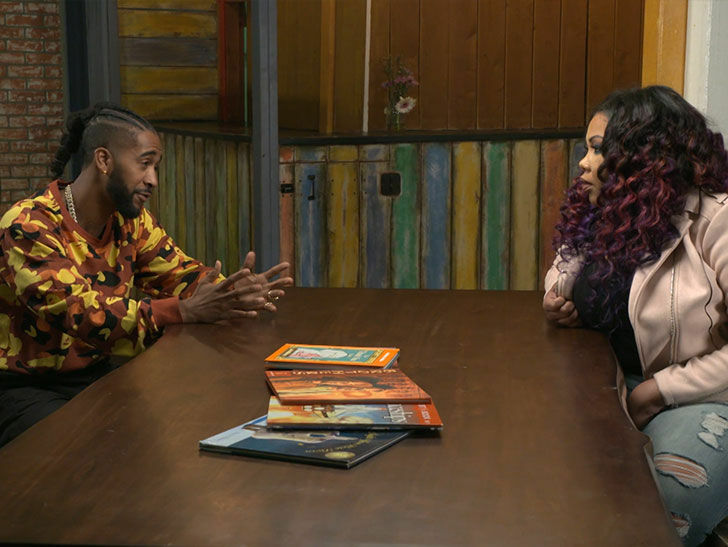 Omarion sat down with our Raquel Harper for Tuesday’s episode of “Raq Rants” on BET, and he made it clear he’s not trying to get involved in his BM’s love life … but if Apryl Jones bangs his bandmate on tour, Omarion says that’s a different story! Omarion’s ex was snuggling up with Lil Fizz on New Year’s Eve, leading to speculation over their relationship. Judge for yourself, but Apryl and Fizz look pretty close … even if they say they’re just friends. Whatever’s going on … Omarion’s making it clear he doesn’t want any drama during B2K’s upcoming tour. For the full interview … watch “Raq Rants” Tuesday at 11 PM on BET. On the West Coast, if you have Dish or DirecTV, it’s on at 8 PM.